This minty fresh organic toothpaste is specially formulated for delicate teeth & gums. 100% natural this toothpaste is safe for brushing babies' gums and milk teeth, and is non-toxic so safe if swallowed. Contains organic Spearmint, Peppermint, Aloe Vera and antioxidant Olive Leaf extract which helps to protect gums. Free from Fluoride, SLS, Triclosan, Sorbitol, Parabens, phthalates, artificial sweeteners, petrochemicals and colourants. 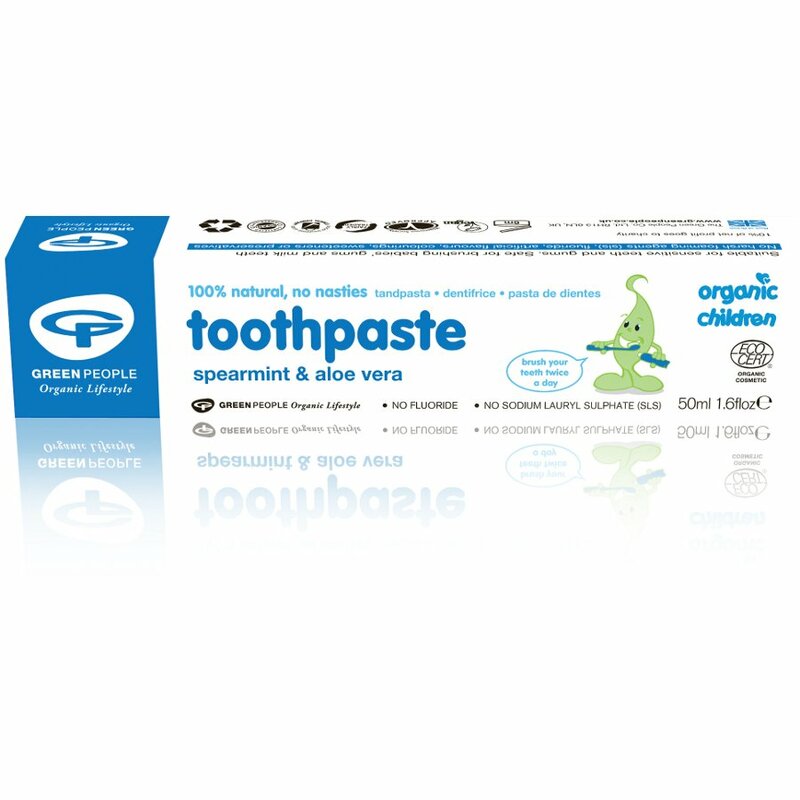 The Green People Organic Children Spearmint and Aloe Vera Toothpaste - 50ml product ethics are indicated below. To learn more about these product ethics and to see related products, follow the links below. My little one loves it. It good to know it's harmless. There are currently no questions to display about Green People Organic Children Spearmint and Aloe Vera Toothpaste - 50ml.